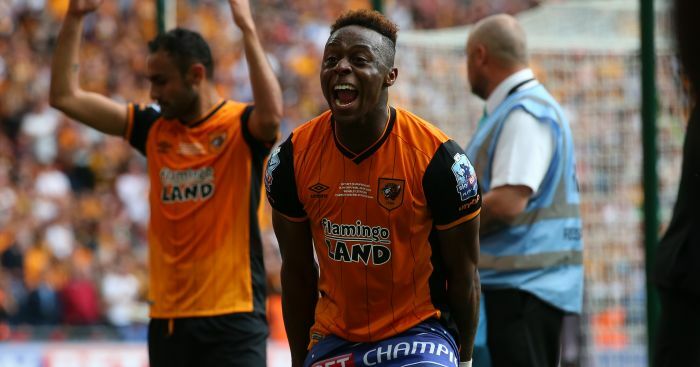 Hull full-back Moses Odubajo is likely to be out until 2017 after the club confirmed he had ruptured a ligament in his knee and will miss the next six months. The 22-year-old former Brentford player sustained the injury in a friendly with Grimsby on Friday and it follows last week’s news that Allan McGregor and Alex Bruce will also miss the beginning of the campaign with problems. Odubajo was instrumental in the Tigers’ promotion back to the top flight via the play-offs, playing 53 times for the club in his first season since moving from the Bees last summer. Sarah Winterburn earmarked him as one of the five Premier League virgins we were most looking forward to watching this season. Poor lad was cursed. Although he is set for an extended spell on the sidelines, both the player and his manager adopted a positive outlook on the news that he avoided damaging other ligaments which could have kept him out even longer. And Bruce was pleased that the injury his full-back has suffered is not as bad as the knee issue which kept team-mate Robert Snodgrass out for over a year. “I know how much he was looking forward to testing himself in the top flight of English football and to now have to sit out the first half of the season is a big blow – both for him and for the club,” Bruce added.